The new Hyundai Verna petrol 1.4-litre makes it more affordable to buy with prices starting at Rs 7.29 lakh (ex-showroom Delhi). Hyundai has launched its Verna in a lower capacity 1.4L avatar at Rs 7.29 lakh (Ex-showroom, Delhi). 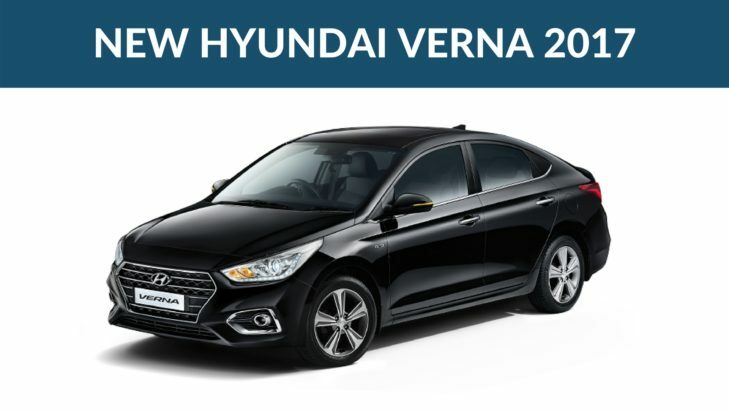 Launched in September last year, the fourth-gen Hyundai Verna has already created a storm in the C-segment with its incredible feature list and eye catchy design inside-out leaving the rivals dejected. The overwhelming bookings of more than 20,000 units and that too within two months of its launch is a testament to its strong demand. The launch of a lesser capacity petrol motor can be attributed to the GST regime which categorized it as a luxury vehicle (over 4m in length and has more than 1.5-litre capacity engine). The Korean carmaker, in order to keep costs in check, has come up with the 1.4-litre petrol mill, which generates 107PS of max power and a peak torque of 135Nm. Furthermore, it continues with the 5-speed manual transmission. It might also surprise us with a smaller, 1.4-litre diesel engine as well in the future. With the new petrol engine, the car is offered in two variants – Verna 1.4 E and Verna 1.4 EX. The third-generation sedan gets projector headlamps with LED DRLs, sunroof and climate control. The Verna gets standard dual airbags and ABS with the range-topping SX(O) variant getting 6 airbags. The prices of the Hyundai Verna petrol with 1.4-litre engine start around the Rs 7.29 lakh mark making it the most affordable mid-size sedan beating the Maruti Suzuki Ciaz (starts at Rs 7.77 lakh, ex-showroom Delhi) and the Honda City (starts at Rs 8.58 lakh, ex-showroom Delhi). Recommended: Maruti Suzuki Dzire Review – Price List, Mileage, Images, Specifications, Exterior, Colours, Features & More!